I followed the no sew tutu instructions I found on this website. This was for my little girl's first birthday. 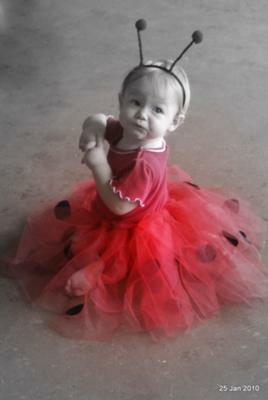 A ladybug tutu! You know I love babies a lot. Look at her innocent look. I love those cute dress that fits her perfectly. Beautiful and cute girl. So cute..I had fun making mine!